Our Eliason doors are designed to handle the abuse of high traffic without showing wear and tear. 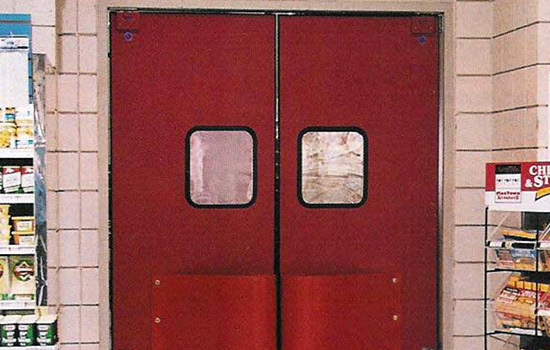 Double action doors are a cost effective solution for efficient and safe two-way movement through an opening where visual, sound and environmental barriers are also required. Eliason is recognized as a premier manufacturer of custom door solution, and we stand by their quality. Give us a call at 919-878-9000 or check our contact portal to learn more about how we can provide the perfect double action door for your organization or business.